Professor, Professor jobs interview only conducted. 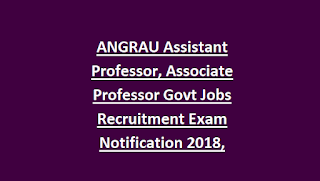 CSIR NET or Ph.D qualified candidates are eligible to submit the application form for this ANGRAU Assistant Professor jobs. Exam Syllabus for ANGRAU Assistant Professor jobs is attached below subject wise. 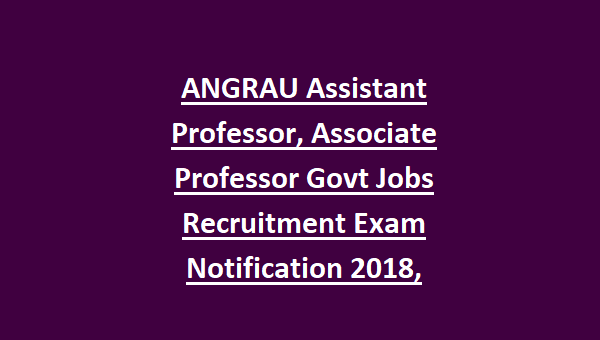 Application form submission last date for this ANGRAU Assistant Professor, Associate Professor Jobs recruitment is 31-10-2018. Official website to download application online is www.ANGRAU.ac.in. For the post of Assistant Professor written exam will be conducted and for other posts based on previous work experience and interview candidates will be selected.